Car Wrecking Sydney – All Makes And Models With Or With Out Rego. If for any reason you have a car that has been written off and is lying on your compound, it must be occupying precious space you can utilize for something else. Your car may also be intact but has a major engine problem that cannot be fixed or is too expensive to repair. Getting rid of such a car is the best option. The process of turning your car to scrap has to be done professionally by a firm that follows all the government regulations. If you are in Sydney as well as in the surrounding suburbs of Sydney then you have come to the right place as we pay money for scrap cars like yours. The condition of the car does not matter because our recovery vehicles are equipped to move any car whether it is a 4 x 4, station wagon, van or any other type of car. The condition of the car to does not matter, it may or may not have wheels or has been badly damaged in an accident. Whatever the condition, we will move it and scrap it for you. There are people who are concerned about how the disposal of their car will affect the environment. 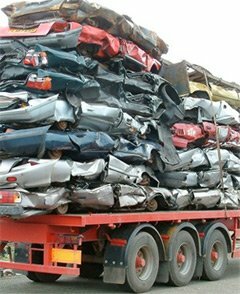 At Car Wreckers, we follow laid down disposal procedures that conform to environmentally friendly standards. Do not let your abandoned vehicle lie around for an extra day while we offer money for scrap cars. We buy any car for scrap, wrecked car, damaged, junk, accident, non-running or running vehicle any make, model or age accepted free scrap car collection from your home or business address anywhere in Sydney, we will pay fair scrap car prices and have no hidden charges or fees, Our service is the easiest way to get rid of an unwanted vehicle in a professional and environmentally friendly manner. We can collect your car the same day or at a time and date that is convenient for you. Our business hours reflect our commitment to you. Before you hand your car over to us for recycling, we will talk you through the paperwork, complete all necessary sections that need to be filled out and answer any questions that you may have regarding the disposal and recycling of your car. Car Wreckers Sydney is the Number One Choice for customers when it comes to the Free Collection and Recycling of all makes and models of vehicles that have reached the end of life. You have total peace of mind that your car will not be put back onto the road and driven whilst possibly still registered in your name. We deal with all car models and makes. Toyota Car Wrecker: At car wrecker Sydney we specialise in wrecking Toyota cars. We wreck all models like Camry, Celica, Corolla, Corona, Hiace, Hilux, and all other Toyota models. We don’t care what year the car is we pay top cash for cars and pay instant cash on the spot. Nissan Car Wrecker: We buy all Japanese models and wreck the car for scrap. Nissan is one of the top car brands from Japan. Doesn’t matter what model it is we wreck them all. Pintara, sunny, maxima we buy all models for cash. If you have an unwanted Nissan call us we pay top cash for your cars in Sydney. Hyundai Car Wrecker: Hyundai is one of the top car brands from Korea and it has won many awards in Sydney. We specialize in wrecking Hyundai cars.